This book will be an inspirational read for all of us and will help us live our life to the fullest. It contains stories that stress on the importance of courage and hope. We come across people who could tell you a story of courage everyday. They have braved the worst times and made a place for themselves in the world. This book brings to you a collection of stories that speak of hope, courage and perseverance. A little boy is confined to a wheelchair, but that doesn’t stop him from becoming India’s youngest patent holder in chess. An Army major who was declared dead in the Kargil war is now known for being India’s first blade runner. These stories will show you that, with enough motivation and encouragement, a differently abled person is capable of much more than we think. Disha is an IIM Calcutta alumni and works in the corporate sector, besides being actively involved with various social issues. Disha's energetic smile has helped her be a winner against various odds and keeps her going. 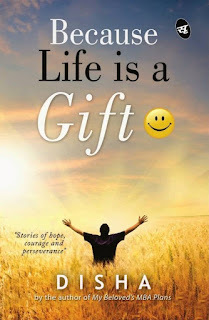 Because Life is a Gift is her second book, intended to bring about a social change, after her first book My Beloved's MBA Plans received rave reviews from leading magazines, newspapers and readers. 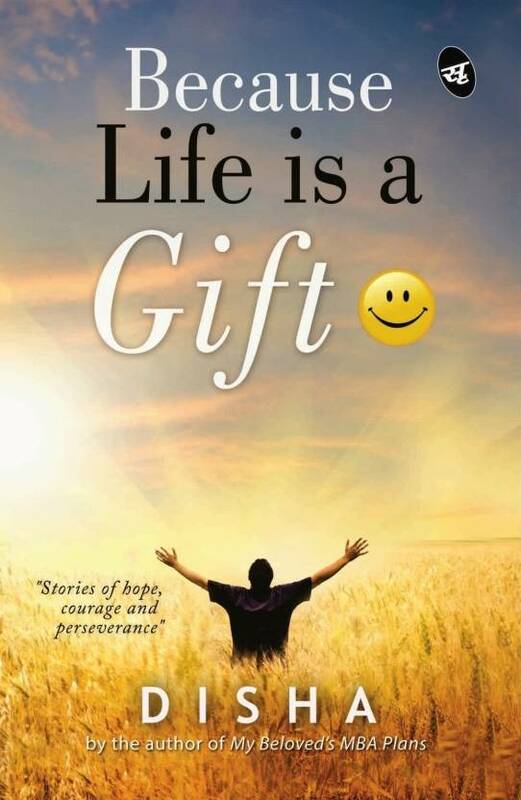 CLICK HERE to Buy Because Life is a Gift : Stories of Hope, Courage and Perseverance (English, Paperback) by Disha with special offers and Options with Cash On Delivery and 10 Days Replacement Guarantee. You want to earn money from home? Are you looking a part time job? If yes, you are in right place now. Write us a article about any books, any products or any of events, etc.. Get paid for every valid article. For more details sent us a mail with your name and contact details to support@timesofbook.com. Please mention subject as "write review - earn money" in your mail.